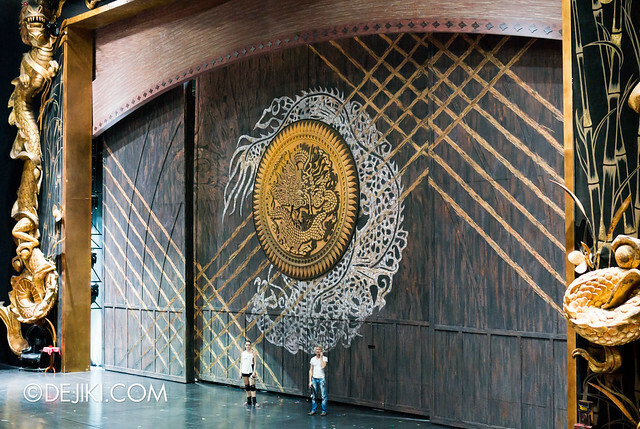 I’ve been invited to a backstage tour at Festive Grand Theatre, the current home of Incanto. Together with other bloggers, we had a special look behind the scenes. 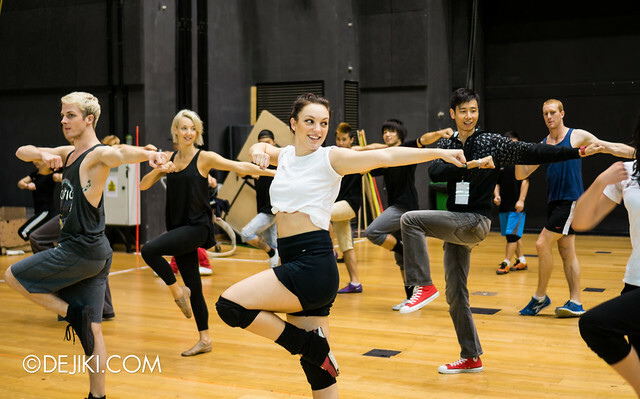 We didn’t uncover any secrets to the stage illusions (of course not!) but we had encounters with some of the cast and crew, followed by a treat of the show itself. Incanto has been showing since last November at Festive Grand Theatre, Resorts World at Sentosa. You can find my original full review here. 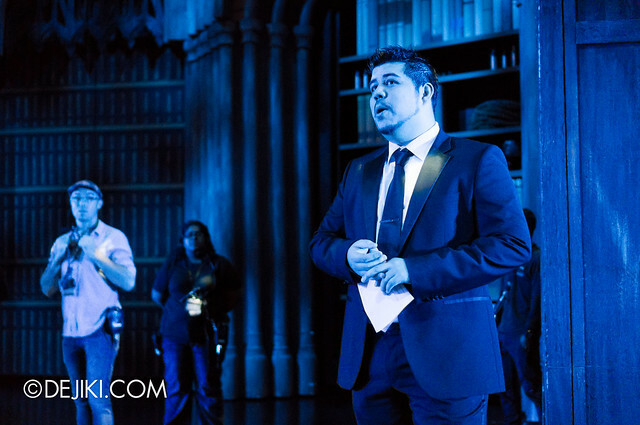 We gathered on the stage at Festive Grand Theatre, shrouded in mysterious blue lighting, and met Ben Russell (Director of Creations). He introduced us to the show and hosted the backstage tour. 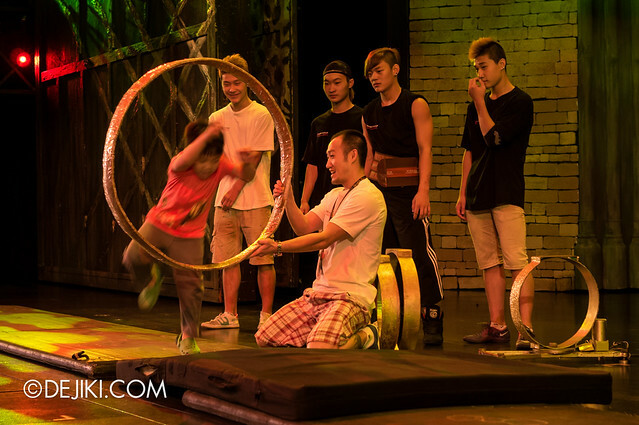 Some members of the Shenyang Acrobatic Troupe gave us a quick demo of Hoops Act, requiring skillful jumps through rings. 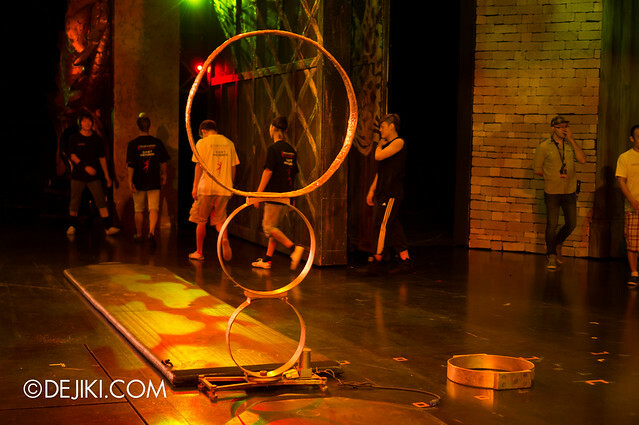 During the show, the rings would rotate and the acrobats may even need to leap through three of them in a single sequence. 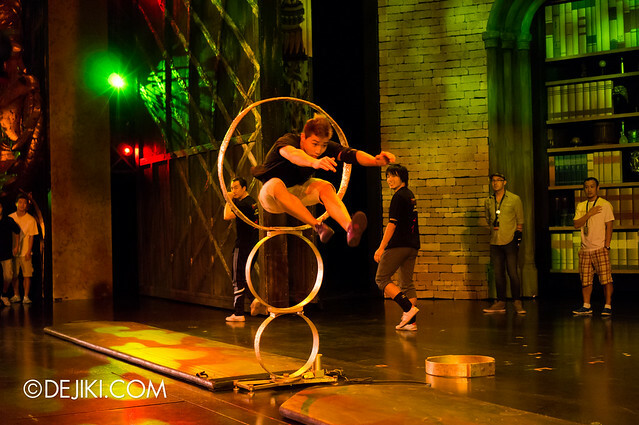 There are even coordinated jumps, where a few acrobats pass through a tower of hoops in unison. 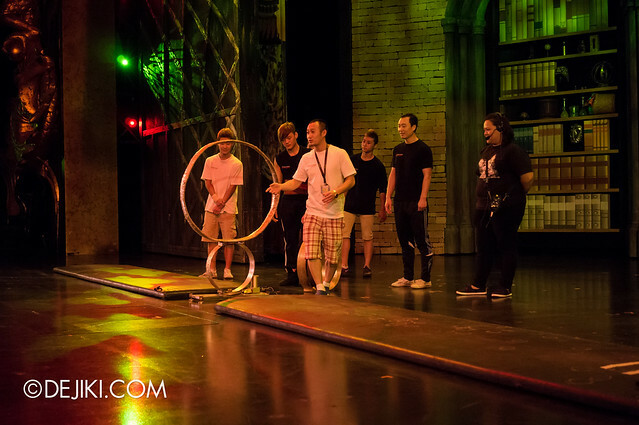 One of the kids in our tour group was very energetic and had a lot of fun with the “mini” Hoops Act! 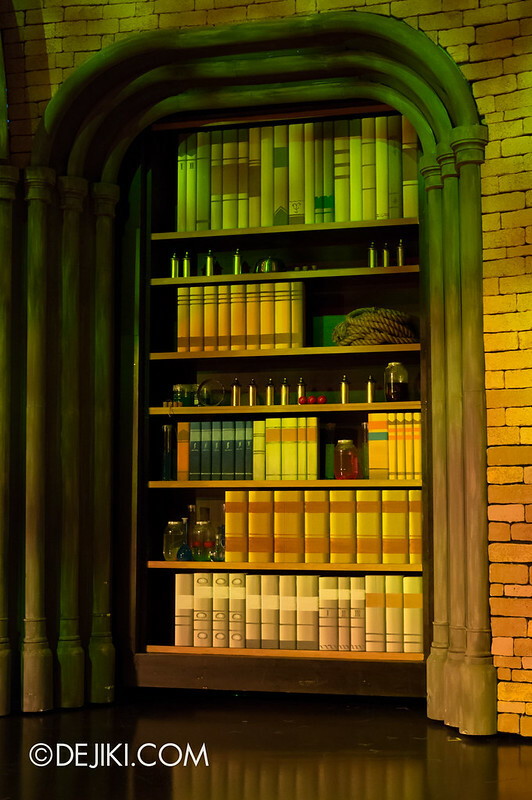 Here’s a closer look at the set on stage – the Library in the Monastery. 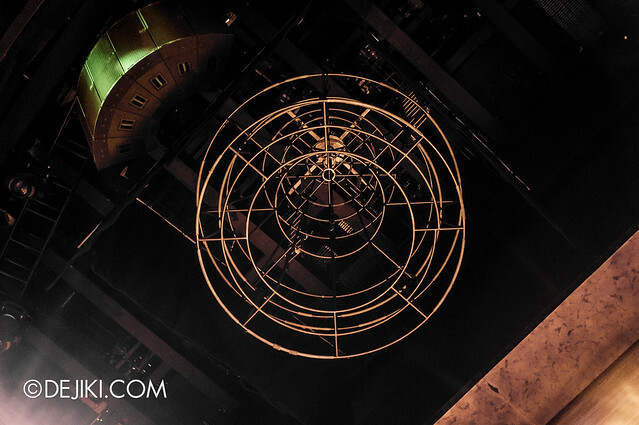 Hidden right above the stage floor, beyond the proscenium arch, is the “Bell”. 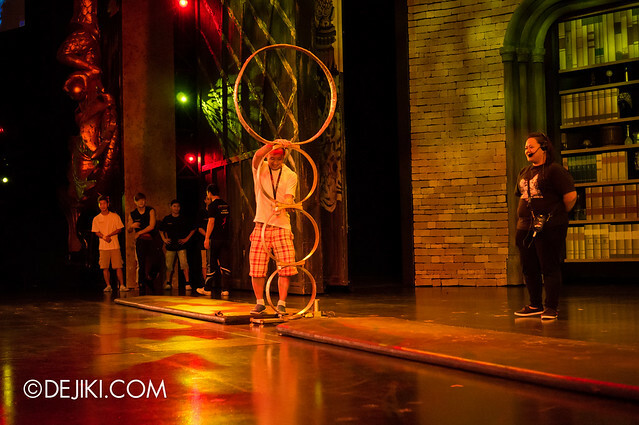 This is lowered at one point of the show and a group of acrobats will dangle and perform stunts from it. And here’s another set. Not sure if this is supposed to be part of the monastery or dungeon, as it’s used for both “worlds”. My favourite prop would be massive Wheel of Death. 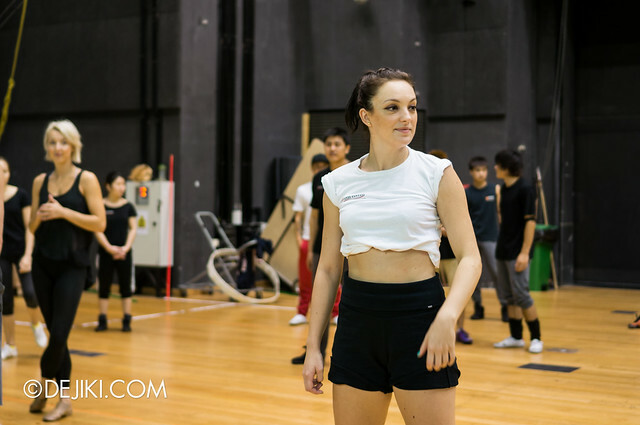 Next, we went to the dance studio. 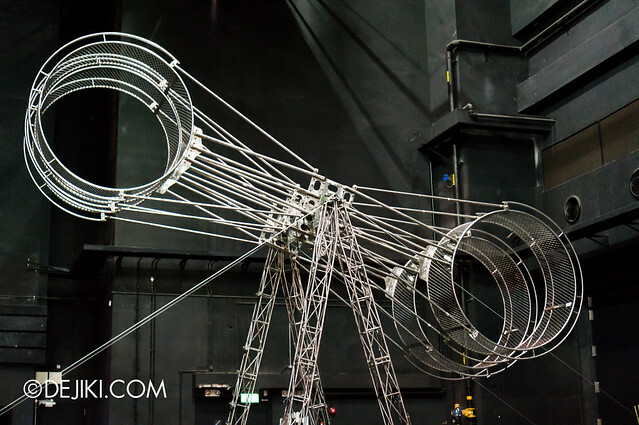 It’s a lot cleaner – with all the hoops, ropes and other aerial acrobatic apparatuses (for Voyage de la Vie) removed. 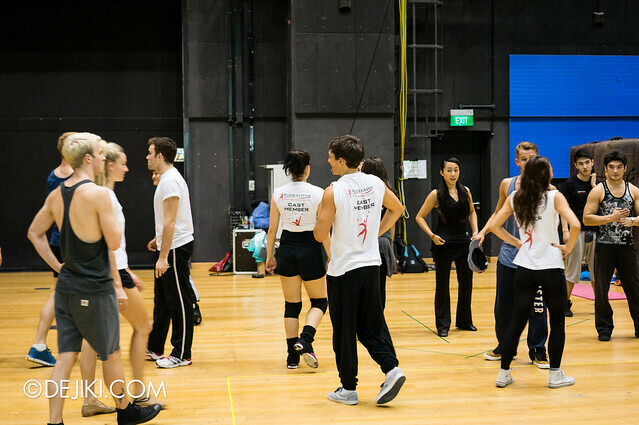 Here, the international dance cast rehearsed and gave us a demo of the dance finale of Incanto. 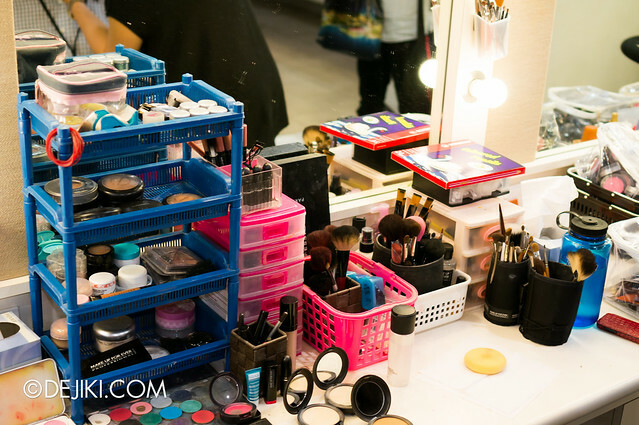 The last room of the tour is Make-up and Costume. 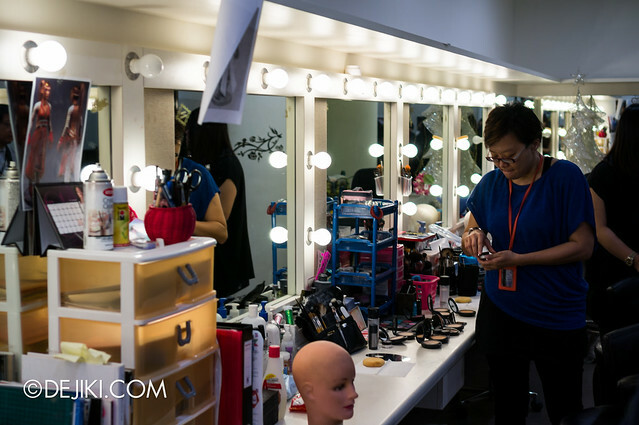 Interestingly, the make-up artists here said that due to the large ensemble of performers, they have little opportunity to put on make-up for performers during the show. 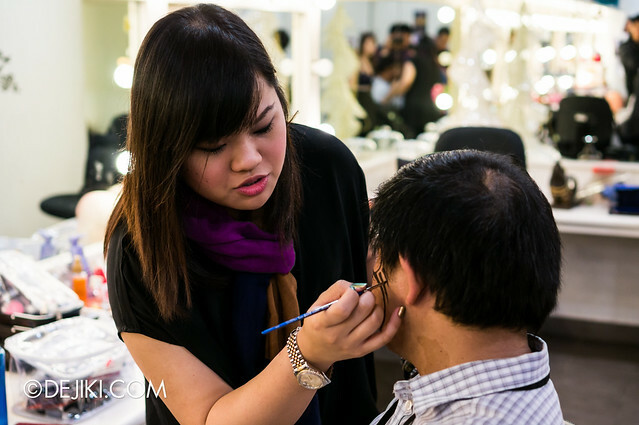 The performers were trained to do their on make-up. 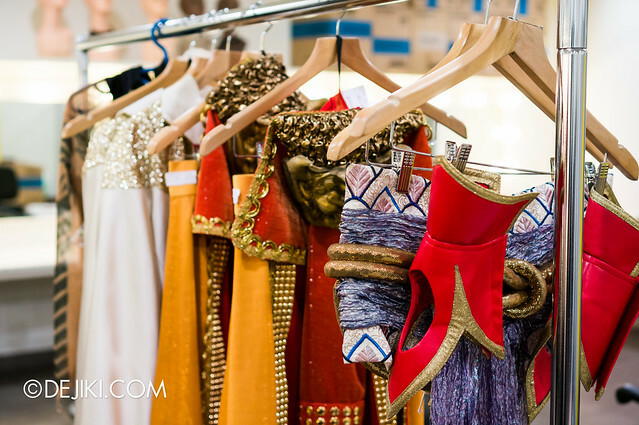 Parts of costumes, for Dungeon Master and some dancers. I have watched Incanto during its opening weekend, and you can read my original full review here. While I did not expect any dramatic changes, there have been some improvements. For Oon Shu Ann’s initial solos, her vocals are much clearer than the last time (which had too much reverb and overall the audio system sounded unbalanced). The finale “Incanto” song could still be improved – maybe have it performed clean, without any backing track? With vocals being clearer than before, I’ve heard some rather bizarre lyrics. There are lines like: “You can’t fool me with confusion, no you can’t trick me, you sly devil, no you can’t fool me because I am clever”. The amount of theatrical fog used was drastically reduced. 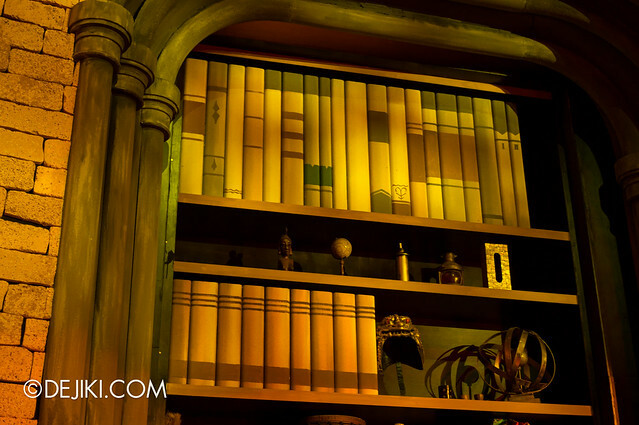 This is better for guests seated at the stalls near the stage, but the added level of clarity inadvertently reveals secrets for some stage illusions. 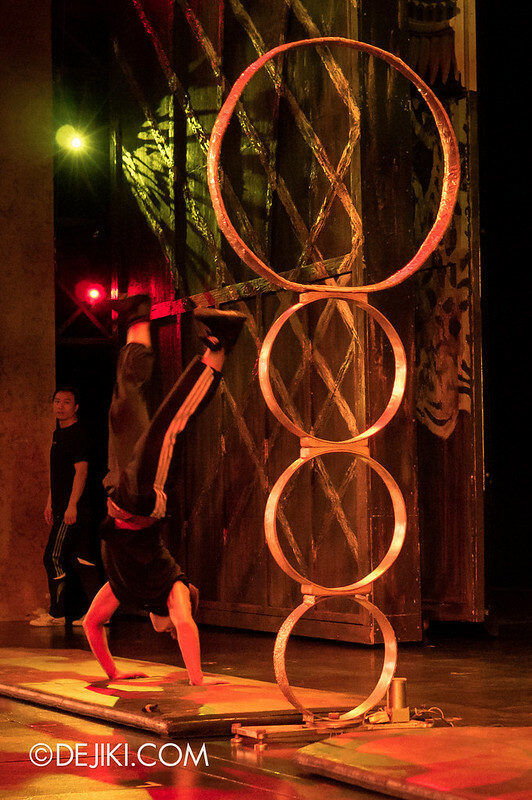 The Hoops Act acrobats also seemed more confident than last November. I remembered that there were moments of hesitation during the opening weekend, causing strange delays. While the show still has some rough edges, it is 90 minutes crammed with good entertainment. 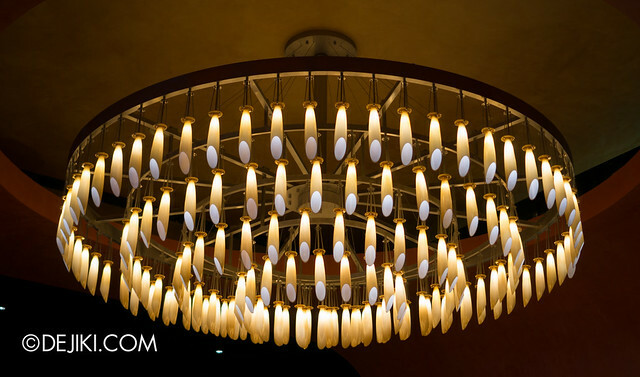 There’s never a dull moment in the world of Incanto. 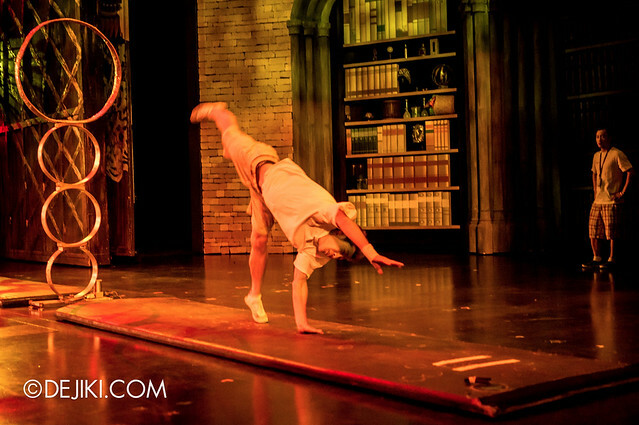 Even when dramatic illusions and dangerous stunts are performed, Incanto is always accompanied with a strong dance ensemble. 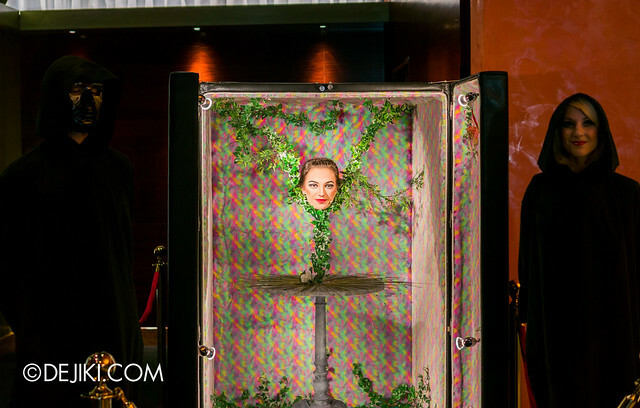 Right after a show, you can find the main stars of Incanto at the Festive Grand Theatre entrance. 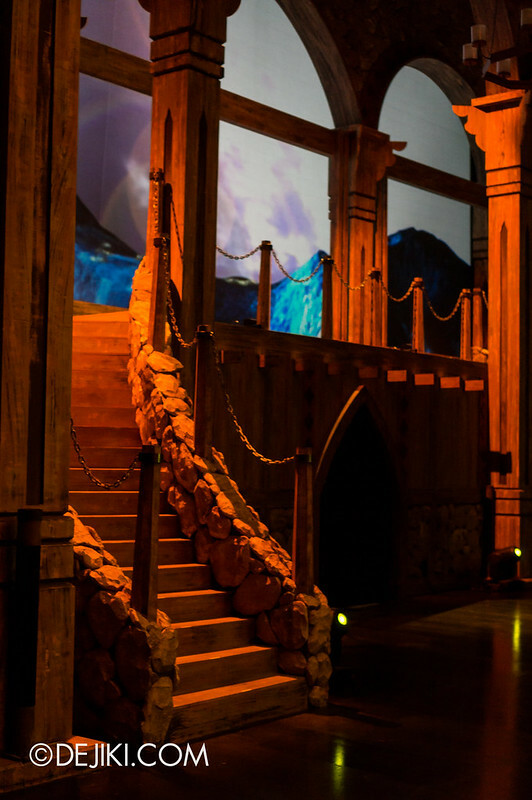 Only two cast members will appear at the photo spot (though Joe Labero is most certain to be there) meaning it’s Oon Shu An (The Seeker) and Chad O’Brien (Dungeon Master) on rotation. Photos are free and you’ll need to use your own camera. They may also sign autographs on request. 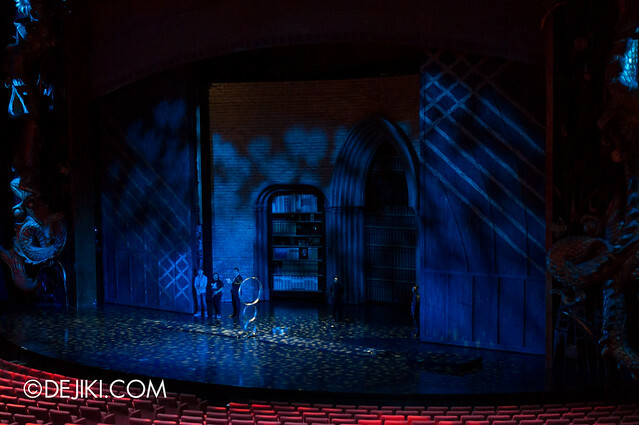 Other cast members of Incanto (mysterious hooded strangers) and the Jester can sometimes be found roaming near the entrance to Festive Grand Theatre before a show starts. For those interested in the Incanto soundtrack, it is only available at Incanto Plus. You’ll need to buy the Incanto Plus card (S$20) at Festive Grand Theatre Gift Shop. The card has a voucher code that can be redeemed at Incantoplus.com. Only five tracks are available and they are all composed by Jonathan Lim (who also wrote music for Voyage de la Vie). Unfortunately, none of the songs sung by Oon Shu An are available for download. I hope that they add more tracks (or at least, the songs that a lot of people have been asking around for). Great news! The three songs performed by Oon Shu An are now available (tracks 6-8)! 3. Go to this page: http://www.bandit.fm/dashboard/account/redeem and enter your voucher code. 4. Go to http://www.incantoplus.com (You should be automatically logged in). 5. Scroll down to “Soundtracks and Ringtones” and click the “Buy” button to download a track. You will not be charged any fees for downloading, although the purchase history page on Bandit.fm will log each download for $0.18. Tickets range from $78 (CAT 4) to $148 (CAT 1/VIP). Tickets for seats with restricted view of the stage are available at $48. 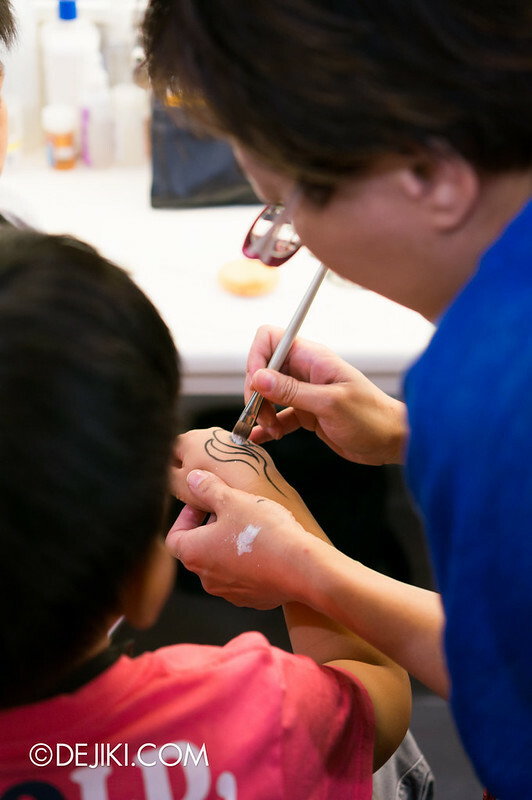 Various discounts and concessions are available, such as student discount of 15%, and child (age 4-12) discount of 30%. See full list here for details. For more information and to book tickets, visit the RWS website for Incanto or the Sistic website. Special Thanks to Resorts World at Sentosa for inviting dejiki.com to an afternoon of Incanto and a walk around backstage. Disclosure Dejiki.com was invited to the Incanto backstage tour and was provided complimentary tickets to the show. However, this has no influence on the opinions reflected in this entry or related entries. 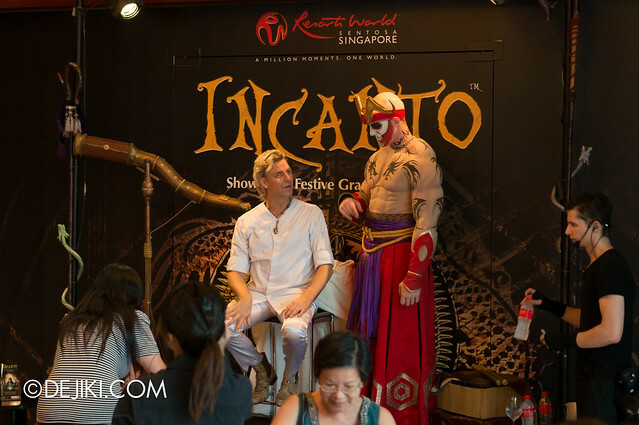 At the moment, Incanto has a limited run at RWS from 4 November 2012 to 10 March 2013. 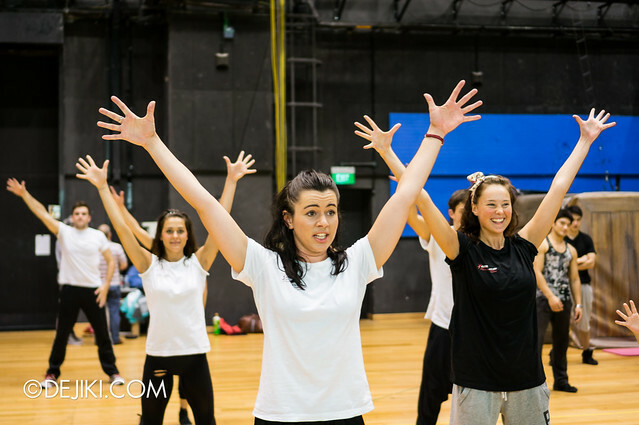 RWS has not announced if the show will be extended. Information about its replacement show, if any, should only be released near Incanto’s final weeks or weeks after the show has ended. Dejiki, Sorry for trobaling asking so many qestions. I discovered that after Voyage de la vie closed it curtains it takes four months to introduce replacement show (Incanto). Do you think they will get time like past to introduce new show? Im looking forwared to see any recedent show while my visit in April. Please give us update or any news if you have on this issue. I have to say this is the best and vary informative blog that to have news on RWS. Thanks for everything.